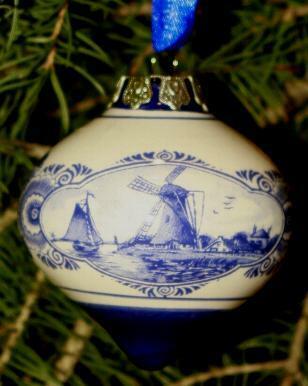 Ornament Delfts Top Shaped 6cm - Ornaments - The Dutch Shop LLC your store for Dutch groceries. Top shaped ornament that measures 6cm and has a satin blue ribbon for hanging. Windmill picture on the front with floral design around the back.